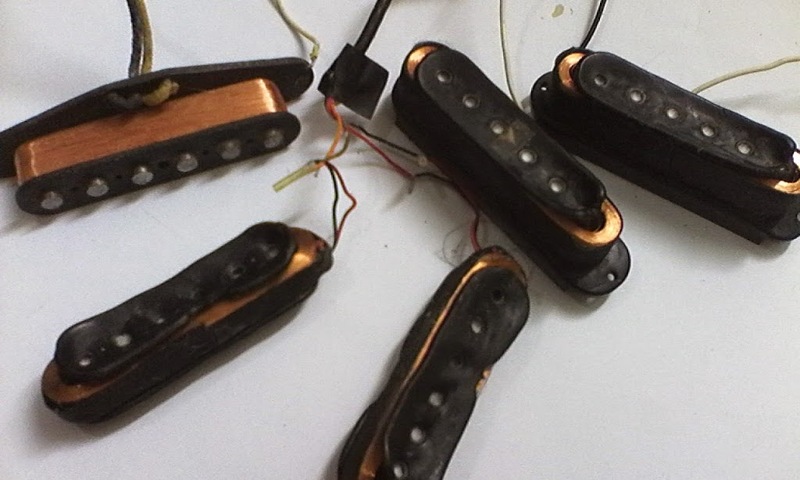 they are destroyed Fernandes pickups. the plastic shrunk and i totally fucked up this time. they are not in reversible shapes. but one thing that interested me. from all those destroyed pickups, there is one survivor. i have a G&L pickup which is not affected by the heat.. it is in great shape and ready. it was the same process since I’ve put them together in the same time and duration. from this DIY guitar stuff this is my worst ever. actually i kept the wax in moderate heat.. but the pickups plastic material just couldn’t stand up against the heat. well, thanks to G&L pickup which stand by my side. it is tough enough to defend me against the shrunk pickups case. 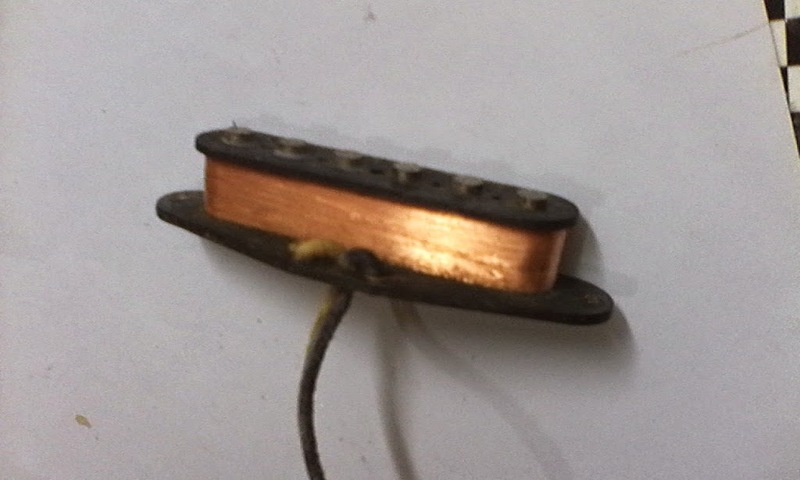 – depends on what kind of pickup plastic materials, wax potting could be freakin dangerous to your pickups. – MAKE SURE THE HEAT IS APPROPRIATE. it’s 65 degree Celsius or better below. don’t worry about pickup magnetism against the heat. i did this and check the magnet were totally fine. you need to pay attention more to pickups plastic material. 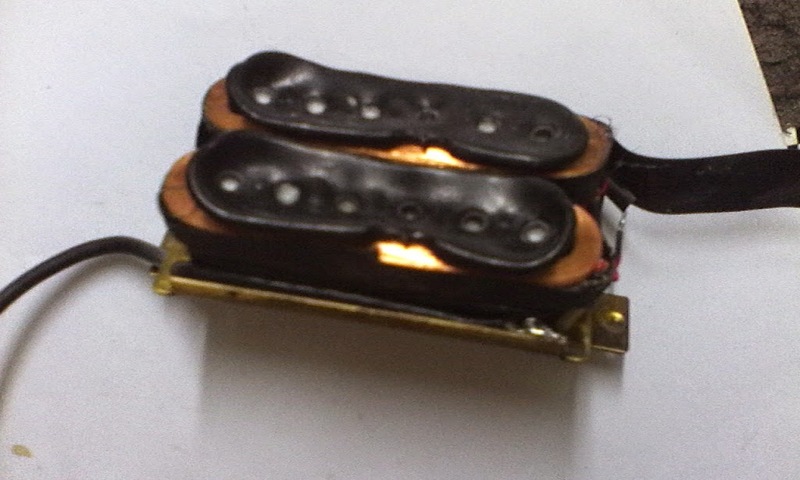 – be ready to buy new guitar pickups. if you’re in low budget, postpone the wax potting until you get enough money to cover your loss. – if you consider your pickups are antique, just let them be. or you can take the chance to be like me, who curious about any guitar stuff. 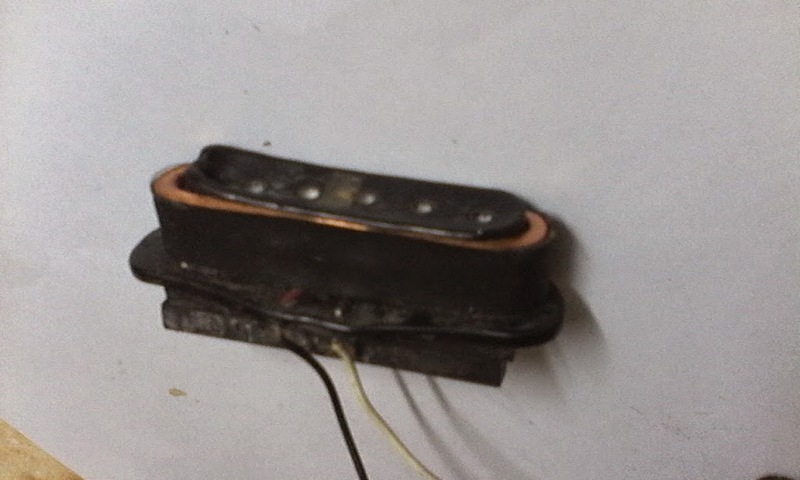 well, since I’m a curious guy, I’m gonna put those destroyed pickups into my guitar (my first guitar, which become my lovable experiment objects. shoot, it was a big failure but i feel so HAPPY … this is what I’m talking about in guitar learning process.